Posters can be magnified to focus on specific figures, images, tables, and graphs. Oral presentations include the author's full slide show complete with graphics. Interested in the recorded presentations? Not an MBAA member? Join MBAA first, then you receive the 2017 proceedings at no additional charge. 10. The benefits of using a persulfonated oleic acid solution for cleaning bright beer tanks. Matthew Bilski, Ecolab, Inc.
11. Efficacy of sanitizers in the brewery. Elliott Parcells, Bell's Brewery, Inc.
18. One-way kegs. Andrew Brewer, Petainer Manufacturing USA Inc.
23. Zinc in fermentation. Joe Kinney, F.X. Matt Brewing Co.
26. The effect of sulfate to chloride ratio on the flavor, aroma, and mouthfeel of a pilsner. Aaron Justus, Ballast Point Brewing Co.
37. Influence of high-molecular-weight polypeptides on the smoothness and mouthfeel of beer and applications for commercial beer products. Masaru Kato, Research Laboratories for Alcoholic Beverage Technologies, Kirin Co., Ltd.
40. Is boiler training really necessary, or how to relocate my brewery. Dave Baughman, Allied Boiler & Supply, Inc.
44. Progress in malt sensory evaluation: ASBC Hot Steep Method. Cassie Liscomb, Briess Malt & Ingredients Co.
45. Troubleshooting using sensory data. Anna Sauls, Highland Brewing Co.
56. Brewhouse ingredient delivery. Joseph Kolodzinski, Symbiont Science, Engineering and Construction, Inc.
71. Supercritical CO2 hop extract improves brewery process yield over hop pellets. Michael Visgil, John I. Haas, Inc.
72. Sensory analysis of beer made with 2200 vs. 3700 PSI CO2 hop extracts. Victor Algazzali, John I. Haas, Inc.
79. Development of a low carbohydrate beer using a high alcohol wort. Takuya Ohashi, Asahi Breweries, Ltd.
85. Risks and rewards of anaerobic digester systems for craft brewery wastewater treatment. Manaf Farhan, EMG International, Inc.
88. Stop the water from the drain—Reuse of water in breweries. Jeff VanVoorhis, Symbiont Science, Engineering and Construction, Inc.
92. A comparison of selected lactic acid bacteria for use in the production of sour wort and beer.. Timothy Lozen, Bell's Brewery, Inc.
96. Optimization of premature yeast flocculation (PYF) factor assay. Jigar Brown, Rahr Malting Co.
Yeast Propagation—How to Nurture Happy Yeast! 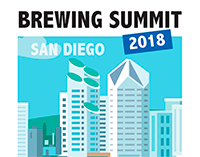 PCR: Real-world examples from the brewing industry. Wade Begrow, Founders Brewing Co.
Pasteurization—Tunnel vs flash. Dave Duff, Barry-Wehmiller Co.
Food Safety: Requirements, Programs, Experiences & Culture in Brewing. 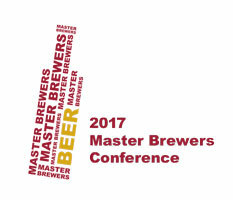 Dustin Helsel, Founders Brewing Co., Tatiana Lorca, Ecolab, Inc., Mary Jane Maurice, Malteurop North America, Daniel Voce, F.X. Matt Brewing Co. Practical Tools of Engineering Economics Applied to Brewery CapEx Decisions. Jaime Jurado, Abita Brewing Co.
Modern Separators. Ken McCullough, GEA Mechanical Equipment US Inc.
Decanter and Sedicanter Centrifuge Applications for Breweries. Christian Pettit, Flottweg Seperation Technology Inc.
Introduction to Centrifugation. Richard Schildwachter, Separators Inc.